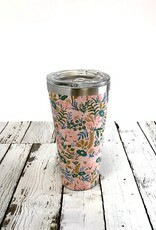 Rifle Paper Co and Corksicle teamed up to make this super pretty insulated 16oz beverage tumbler. 9 hours cold, 3 hours hot thanks to triple insulation, easy ergonomic grip, vacuum sealed and cup holder firendly! Stainless Steel and BPA free. 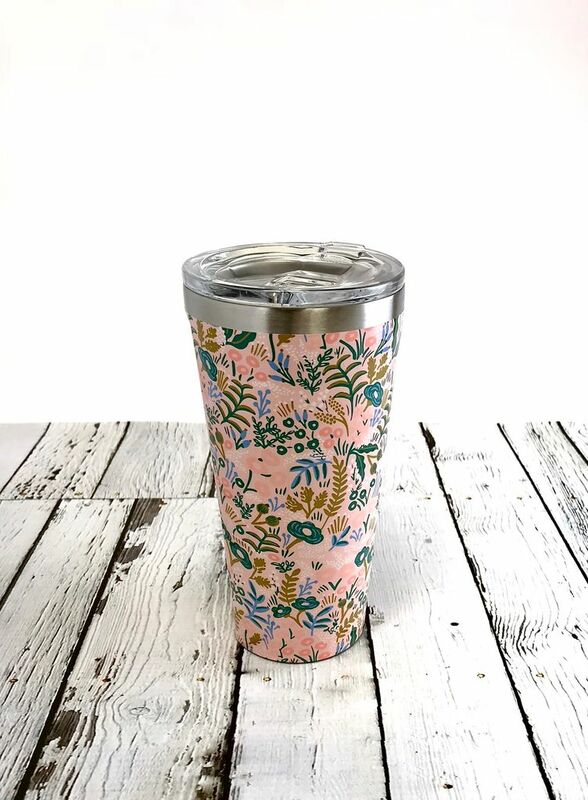 Everytime you use your tumbler, you help the environment by reducing plastic waster in landfills and the ocean. It is also 100% recyclable - isn’t that amazing?!? One important thing to note, its not dishwasher safe - give it some handwashing love after each use and it will last many moons! Enjoy!